The use of modern technologies and digital services is not only changing the way we communicate, they also offer you more innovative ways for monitoring your health & well-being, giving you greater access to personal data for self-management and empowers older adults to safely and healthfully age in place. Note: We know, this is a static report for now, but it won’t be like that in the future. We are building great technology to make it 100% personalized for your needs. Therefore subscribe to our site below and be informed when it is launched. 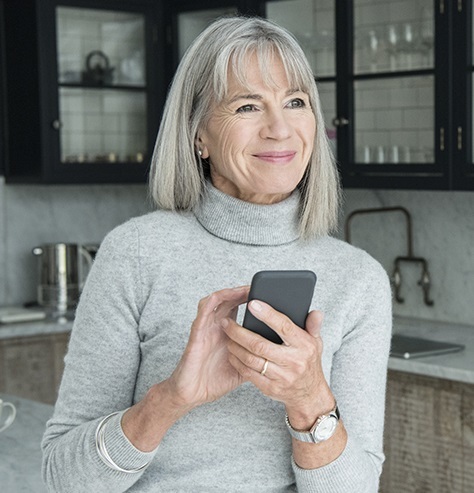 In this 1st Planning and Resource Guide Agely shares with you relevant information essential for rewarding, independent living via Daily Living Essentials along with these 6 must-have Digital Health Technology products! From gadgets that will help you remember to take your medications on time, to innovative solutions for taking your blood pressure effortlessly, to ways you can give your loved ones peace of mind through connected independence – explore and discover the benefits of Aging In Place with Agely and these six must-have innovative technology products ideal for aging in place. About 90% of American adults want to stay in their homes as long as possible. You can make that happen with some thoughtful planning so you can continue to live independently and age in place happily, safely, and comfortably with the help of Agely a discovery platform for living life to the fullest. 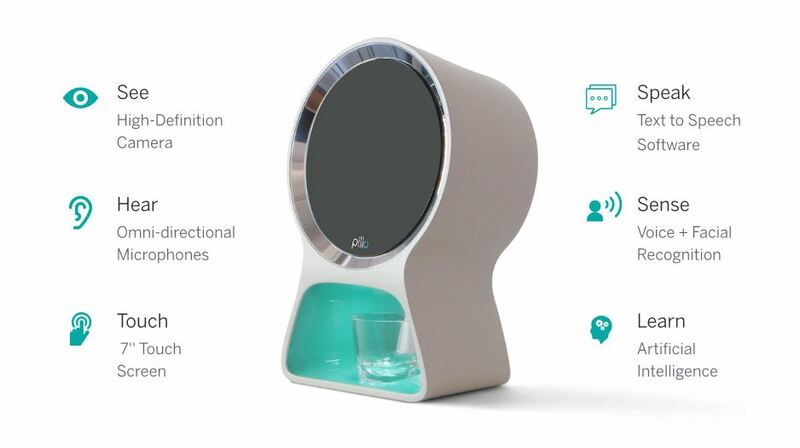 Pillo, is an all-in-one pill dispenser, personal digital assistant, and communication device that empowers people aging in place to take charge of their health and wellness. The smartest and friendliest way to manage your health, Pillo is like having your very own healthcare companion in your home without the intrusion. Pillo is able to recognize different people using facial recognition and then interact and dispense the correct pills for each individual at the appropriate time. Pillo can also connect with healthcare professionals, carry our auto-refill orders, links up with your smart devices such as a phone, tablet, or watch to issue reminders, and answers your healthcare questions. And Pillo allows you / your loved one and a caregiver to stay connected which gives you and your loved one peace of mind while your loved one ages freely and safely in their own home. QardioArm wireless blood pressure monitor measures your systolic, diastolic blood pressure, heart rate and has irregular heartbeat detection. QardioArm is FDA approved and clinically validated to meet U.S. and European standards. An estimated 103 million U.S. adults have high blood pressure, according to new statistics from the American Heart Association. which means you should be checking your BP twice daily for optimal health – QardioArm can do just that! 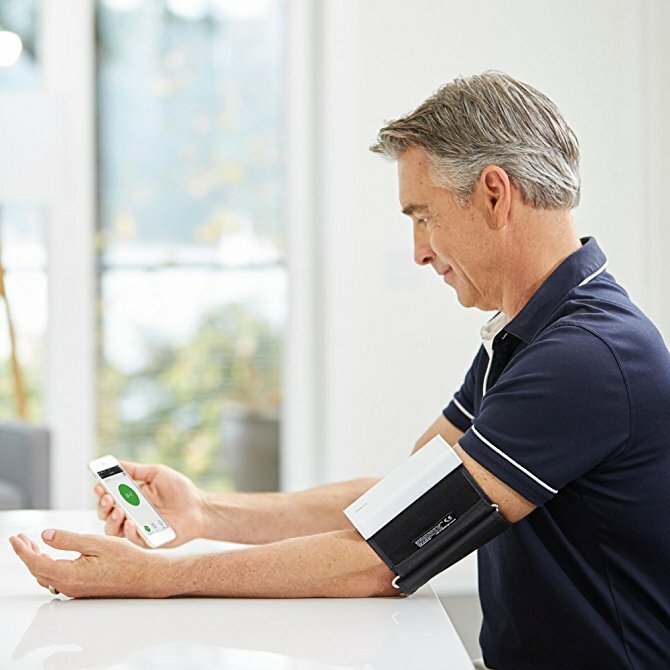 If you’re an older adult who needs to keep your blood pressure in check, daily, then do checkout QardioArm, an intuitive, simple and easy to use blood pressure monitor that makes taking your blood pressure easier and keeping track of your twice daily readings effortless. 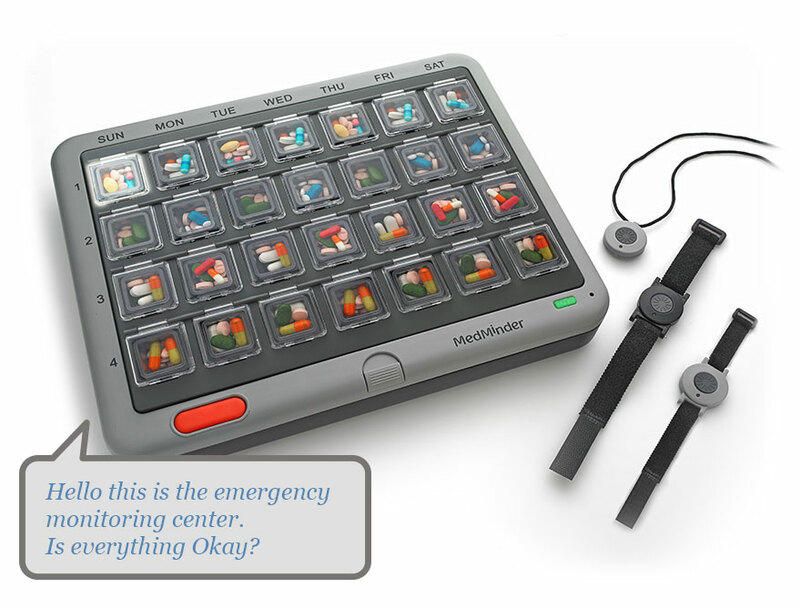 MedMinder is an intuitive pill dispenser that can remind the user to take their medications with a series of optional visual and/or auditory alerts. MedMinder pill dispenser can be filled for several weeks, depending on the frequency of a dose per day. And best of all there is no need for a phone line, computer, cell phone or Internet access when you use MedMinder the automated pill dispenser that offers stellar medication management. And MedMinder will ship ready-to-use medication trays to your loved ones. Pop the trays into the pill dispenser, and you’re ready to go. There’s no extra cost for the pharmacy service beyond any co-pay, and their pharmacists will take care of transferring the prescriptions too. Help your parent(s) or loved one(s) stay independent with The Medminder pill dispenser that uses a built-in micro cell phone to connect with the Medminder monitoring station, an internal cellular modem that communicates with the MedMinder remote system. 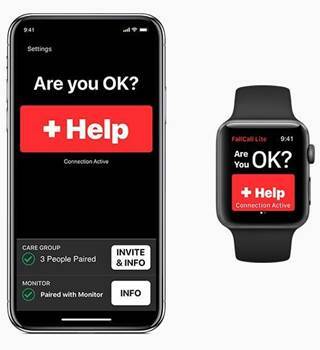 FallCall is a “PERS” a Personal Emergency Response System exclusively for Apple Watch and Apple iPhone that can easily keep up to 5 family members and / or caregivers “in the loop” regarding you or a loved one’s daily living activities. If you or a loved one are a Apple Watch or iPhone devotee then FallCall is a must-have for allowing you or a loved one to age freely and safely in their home, while providing you both peace of mind, allowing you to connect through the Apple devices you already own in a simplified way that is more inclusive and engaging. The first Personal Emergency Assistant designed for Elders and Caregivers, built exclusively for Apple Watch® and iPhone®. FallCall Solutions, LLC is a company founded by physicians committed to improving the standards of elder care and safety through technology. LifePod is a new way to remotely manage care, provide support, safety and companionship for older adults as they age-in-place. 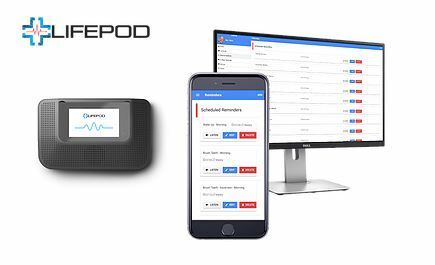 Providing an easy-to-use interface, LifePod unlike conventional voice assistant systems can be set up and controlled by you, the remote caregiver, using an online portal that delivers your personalized check-ins, reminders, and companionship – virtually from anywhere. You, and any caregiver can easily configure emergency alerts and daily reports that summarize daily activities of your loved one. And more features will continually be added to LifePod integrating data from IoT, wearable sensors, health-related apps and specialized services. SafeWander Bed Exit Alarm System is a small wireless button-like sensor that attaches to a person’s clothing and via a Wifi / Internet Gateway sends an instant alert to the caregiver’s smart phone when the individual attempts to get out of bed or a chair without assistance. 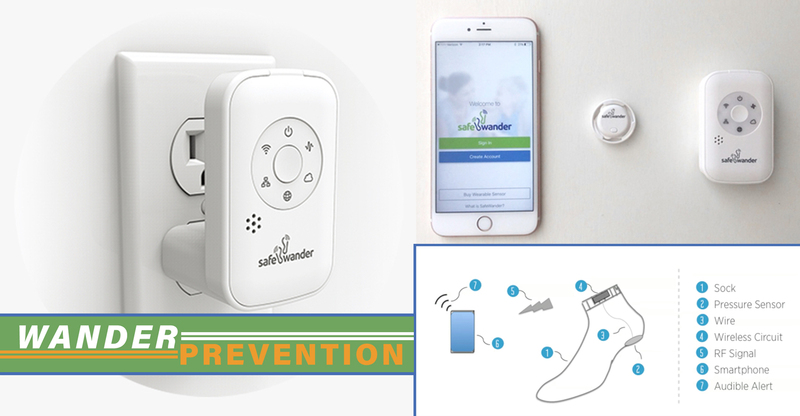 Consisting of a tiny Button Sensor worn by your patient or loved one, a Gateway plugged near his/her bed, and a mobile device App, the SafeWander™ system is a revolutionary sensor that alerts caregivers to loved one’s who are prone to wandering or at risk of falling. An intuitive product, SafeWander allows you, the caregiver, to stay connected and gives you peace of mind and a sense of security knowing that your loved one is much safer whether at night when sleeping or in another room watching television or reading a book. The Activities of Daily Living are a series of basic activities performed by individuals on a daily basis necessary for independent living at home. There are many variations on the definition of the activities of daily living, but most medical professionals will agree there are 5 basic categories. Whether or not an individual is capable of performing these activities on their own or if they rely on a family caregiver for assistance to perform them serves as a comparative measure of their independence. Not sure what aging in place solutions are best for you or your loved one? Start making sense of your options with Agely, your resource for Aging In Place and Living Your Best Life!